Dr. Cooper demonstrates a sincere interest in your well being. He has compassion and within minutes makes you feel he is genuinely interested in helping you feel better. He is a first rate doctor who I trust implicitly. My back pain was getting steadily worse over several months. I won’t say that it was unbearable, but it was getting there. Dr. Cooper diagnosed a bulging disc pressing on a nerve, and gave me an epidural steroid injection. I’ve been essentially pain free for more than four years now. Best doctor I ever went to. I highly recommend him. Dr. Cooper cured my back and knee pain. I did not think it was possible but here I am without pain and able to play with my children again and I have Dr. Cooper to thank for that. He also gave great recommendation and prescription for physical therapy. His staff and colleagues are also terrific. A+ all around. I work and live in Manhattan so when a friend at work recommended traveling to Princeton, NJ, to see a spine specialist, I thought he was off his rocker. I had seen a “great” spine doctor at Hospital for Special Surgery and another one at NYU. Still, since I was still suffering with terrible back pain and sciatica that was keeping me from being able to even sit still, and since my friend was so insistent, I made the drive to Princeton. Dr. Cooper took his time to explain what he thought about my condition. He reviewed all my MRIs (not just the reports) and recommended a course of action. He was very nice and personable but I was skeptical because I had already had an epidural injection that hadn’t helped me. Dr. Cooper explained that he thought the injection had been in the wrong location and that his would work better. He didn’t pressure me at all but he offered to do the injection for me on the same day as my visit because he knew I was traveling from a distance to see him and it was hard for me to take time off of work. Dr. Cooper really listened to me and treated me like a person with a problem and not just an MRI. I could go on and on about how the visit was better than any other doctor visit I have ever had but suffice it to say that I got the injection on that day and a week later my pain was TOTALLY GONE. I was amazed. I was supposed to go back for a follow-up but Dr. Cooper told me that if I was all better as he thought I would be then we could just talk on the phone. So we spoke on the phone and he recommended a course of physical therapy and Pilates. I did both and to my utter amazement a half year later I’m still pain-free and doing my exercises. I feel great and I’ve even lost weight from the exercises. Dr. Cooper cured in one visit what other big name doctors in New York could not cure in several. I can’t thank him enough. His staff is superb and professional. I tell anyone with neck or back and leg pain that they have to go see Dr. Cooper. If you have neck or back or leg pain, then you should too. Beyond being a brilliant person, Dr. Cooper is assuredly one of the nicest, kindest, empathetic physicians I have ever met in my life. I was in excruciating pain when I came to him and he took care of me. While he was administering an injection, I must have winced because I actually heard him say, “Ooh, ooh, I’m so sorry. I’m so sorry.” It was as if he felt the pain, too. I was amazed and impressed. He engaged me in conversation for the rest of the procedure, taking my mind off it. And when we were finished, he personally walked me back to the examining room where we had started. I felt a thousand times better after the treatment and I knew that I had met a true healer. Dr. Cooper has helped me tremendously. I had been to several specialists before seeing him and had had several series of injections and nothing had helped. I was still suffering with constant back pain and having to wear a back brace while walking with a cane. With his treatment, Dr. Cooper has diminished my pain to a very low minimal. I no longer have to depend on the back brace and no longer have to use a cane to walk. He is incredible! He is very patient and thorough and takes the time to render detailed explanations. He is the best and I would highly recommend him to anyone suffering with back pain. Additionally, the staff is professional, friendly, and accommodating. I could not ask for more. Pain affects our lives in so many ways. Often, it is hard to remain hopeful and positive… so worried that maybe this time it won’t get better, that maybe I will be bedridden again, or need more surgery. At my first visit, Dr. Cooper renewed my hope, and calmed my fears. He spent time listening, and provided me with a well explained plan for the future. He also provided the best up to date treatment available. I will be busy now with PT, and the proper medication. I feel so incredibly fortunate to have been directed to his care. By the way, his kindness and compassion are amazing. Very nice staff and office. Thank-you, Dr. Cooper! Don’t stay in pain! Princeton Spine and Joint Center can help you! Before finding the doctors at PS&J, I went to many other orthopedic specialists that could not do anything to relieve my pain. One doctor told me that my only hope was major surgery with rods and screws that would not even help me much. Another doctor told me You have a bad back; I don’t know what to tell you. The Princeton Spine and Joint Center changed my life. Dr. Grant Cooper is amazing! Not only is he knowledgeable and skilled, but he is kind, caring, and funny. He was highly trained at top notch facilities in NYC as was the rest of his staff. He has many strategies and procedures for pain management that will help you avoid surgery. His colleague Dr. Zinovy Meyler is another amazing doctor in this practice who used a radiofrequency ablation procedure which gave me my life back. Now I’m back at the gym and enjoying activities I never thought I could. 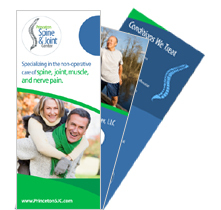 Visit the Princeton Spine and Joint Center. You won’t be sorry! I’ve never known a more amazing doctor than Dr. Cooper. He was incredibly kind and knowledgeable and mapped out several paths forward to get me living pain-free. But what mattered most to me in the moment I first saw him was that he said these simple words; words that three other doctors never did: “We will figure this out.” And figure it out he did. Dr. Cooper gave me back a pain-free life and I am forever grateful to him. Dr. Cooper was recommended by a friend when another specialist failed to give me a clear diagnosis and plan, much less reduce my pain. During my first visit with Dr. Cooper, he explained the diagnosis and came up with a clear plan and possible alternatives. We had to make a few adjustments, but I am now nearly completely pain free, have a good understanding of what was wrong with me and more importantly how to prevent it from happening again. Went there with a terrible inflammation of sciatic nerve could not walk, for two weeks went to the office and I’m walking from the first visit.thank to the injections n staff. Only thing is that their wifi for internet is very slow !! The staff was super patient, helpful and nice. Dr. Cooper was very nice and helpful. For my first time there I had a great experience. Dr Cooper simply takes the pain away. I have had pain in both knees as well as carpal tunnel issues. He has taken good care of both. Appointments are never an issue. His staff is both very friendly and more than willing to accommodate scheduling changes. His care is first rate. He remembered the entirety of my pain issues even after not seeing him for several months. I could not recommend a better physician. A visit to Dr Cooper is not the quick boring banter between doctor and patient. He remembers what I told him since the last visit. Stop searching for a doctor to take away the pain. This is the man. I first visited Dr. Cooper’s office at the suggestion of my orthopaedist. In 2002, I had a discectomy and cervical fusion. Approximately 3 years ago, I began suffering a great deal of constant pain in my neck and shoulder area, resulting from my cervical surgery. While I was not only slightly apprehensive, (major understatement) and despite the fact that I did a fair amount of research before I embarked on this one and only attempt to remedy my always-present pain, I still prescribed to the idea that this would be a one-shot deal … probably would help (if at all) for a few days at best. I am here to say that after (over) 1 month, I am absolutely and completely pain FREE. By the time I walked out Dr. Cooper’s office, I was absolutely and comopletely pain FREE! I couldn’t believe that I was able to move in any and every direction and remain pain FREE. I would wake up in the a.m. and be pain FREE. I had become so used to being in pain, it felt strange to have NO pain whatsoever. As such, I am unequivocably able to provide this testimonial — which I volunteered to make, at no remuneration — that Dr. Cooper literally changed my life. Additionally, he has a staff of wonderful, caring individuals who treat you like we, the patients, truly matter. In fact, Dr. Cooper contacted me on the evening of my procedure to check how I felt! I found the Princeton Spine and Joint Center through a referral from a Physical Therapist. The PT mentioned that several of his more complex injury patients were having some success with Dr. Cooper. I had been to many, many doctors with different specialties for 4+ years. Unfortunately, I had little relief from the acute pain in the thoracic and cervical area plus my shoulders ached when sitting. I was also getting migraines radiating from the cervical spine. Some doctors simply said they didn’t recognize my multitude of symptoms and didn’t want to treat (because of another complication) so turned me away. I was being sent in circles between specialties as doctors would refer me to another specialist. I’ve had several follow-up visits and procedures with Dr. Cooper and they also accept my insurance plan. I found out that Dr. Cooper wrote a book on neck pain so thought I might be in the right place. My first impressions were positive and continued with each visit. The office staff is caring and you don’t feel like you’re the next number. 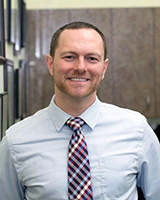 Dr. Cooper display a positive attitude, is empathetic and has an ability to connect with his patients. Treatments are conveniently performed in the office since all the necessary equipment is available onsite. Dr. Cooper and The Princeton Spine and Joint Center are the best I’ve seen. I really didn’t think that I could find a great doctor and now I’m so hopeful for my continued improvement. I still have a way to go but that’s okay. The procedures have significantly improved my quality of life and my family also sees the difference. After giving up a few times on finding the right doctor, I’m glad that I persisted. Hopefully, you will have a similar experience so don’t give up. I’ve written this so if I could save just one person from the chronic pain and doctor’s indifference that I’ve experienced over so many years. If that sounds like you then check them out! Before I began treatment with Dr. Cooper at the Princeton Spine and Joint Center, the pain I was experiencing in my back and legs was excruciating – I could barely walk my dogs around the block or keep up around the house with my wife. Today, thanks to Dr. Cooper, my pain is minimal and I am once again enjoying my life. For non-invasive therapy, I highly recommend the Princeton Spine and Joint Center to anyone suffering with back, hip, or knee pain. A concerned physician, Dr. Cooper treated me like a person; he encouraged me to ask questions and always spent as much time as I needed in explaining procedures and reviewing my expectations. His office staff is pleasant and supportive, and Dr. Cooper even called to check on me when I required emergency medical treatment for a Kidney Stone. Thank you, Dr. Cooper, even for the bad jokes! I came to Dr. Cooper’s office in July of 2009. I could hardly walk and could not do anything. I could not bathe since I couldn’t stand for more than 2 minutes. I could not cook. As of today, I feel better. I can take care of myself and can stand longer. I can walk to the grocery store. I love Dr. Cooper and have faith in him. I’ll recommend to him to anyone!!! My experience with Dr Grant Cooper is completely unique. After 20 years of chronic pain, I thought I was only allowed to have an epidural three times a year as the only source of manageable pain care. Dr. Cooper gets to the source of the pain and he does not rely on epidural shots alone. I was somewhat scared thinking my pain was not going to be managed for the rest of my life but in fact it is! I have been a patient of Dr. Cooper’s for the past year. Before being referred to Dr. Cooper by my primary care physician, I had previously met with two other doctors for a lower back injury I had suffered. Both of these doctors were strongly suggesting surgery for my injury, but I wanted to meet a doctor that would exhaust all non-invasive options first. I am so glad to have come in contact with Dr. Cooper and his friendly staff at the Princeton Spine and Joint Center. I am pleased to say that my lower back injury has healed completely thanks to the treatments administered by Dr. Cooper. In addition to the relief I am feeling in my lower back, Dr. Cooper was able to diagnose and treat a chronic neck problem that I had for decades, but did not think was treatable. Dr. Cooper’s treatments, physical therapy, and following the advice given in Dr. Cooper’s books have allowed my lower back and neck to feel like it did when I was much younger. I would strongly recommend Dr. Cooper to anyone that suffers from chronic or acute pain in the back or neck. Highly qualified physician with excellent credentials. Has published books in his field. I got great relief from long standing back and knee pain, when other well qualified physicians failed. I am leaving on a one month trip to Europe which would have been impossible a year ago. He is always warm, welcoming and friendly, sees patients promptly, and gives plenty of time for explanation and discussion, more than I have ever received elsewhere. I recommend him with the greatest enthusiasm possible. I am a former director of nursing, with a masters degree in nursing and well qualified to evaluate the care provided. After having endured an extremely limited range of motion in my neck for over five years, I was afraid that I would simply be permanently disabled. Before being referred to Princeton Spine and Joint Center, I had experienced a dispiriting consultation with a local orthopedic physician who said that my 28-year-old neck resembled the neck of an eighty-year-old woman, but was unable to offer either a diagnosis or a course of treatment. My first consultation with Dr. Cooper, however, was a refreshing experience. After listening attentively to my medical history, even while admitting that my lack of mobility was as severe as he had previously encountered, he laid out a multi-faceted course of treatment including injections and various hands-on therapy, that he believed would, over time, improve my condition. I have been working with Dr. Cooper for over a year, and my condition has vastly improved. I had forgotten what small pleasures I had missed when unable to move my neck properly. I am now able to look up to see all of the constellations in the night sky. I am able to safely back my car out of my driveway, confident that I will see any pedestrians who may be in my path. I can even drink soda from the can instead of having to rely on a straw! It has also been a long time since a stranger on the train has asked me if I had a sore neck. Dr. Cooper is unlike any specialist I have ever visited. He and his dedicated staff have treated me with the kind of genuine empathy that is often lacking in the profession, from the fist day I walked in the door. Dr. Cooper’s enthusiasm in my slow but steady progress has continually kept my spirits up and has motivated me to push myself in physical therapy and home exercises that garner steady improvements. 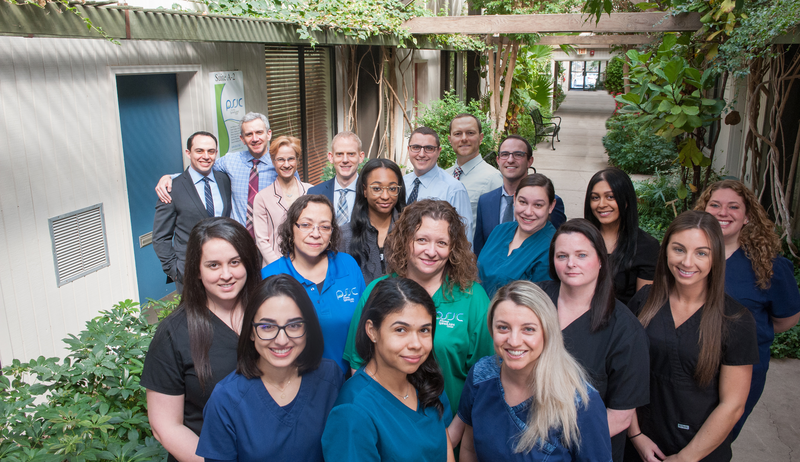 Based on my extremely positive experience with Dr. Cooper and his whole office, I would strongly encourage all individuals seeking a competent, compassionate specialist to visit Princeton Spine and Joint Center. After a bad work accident and years of constant back pain, 4 surgeries, lots of broken bones and a full year of pt, I found Dr. Cooper, a doctor that cares for not only the physical well being of his patients, but the mental part as well. I have seen many doctors and have been the patient of many who just look at the bottom line how much is he or she worth to me the doctor. From day one Dr. Cooper put me at ease with his openness, his bed side manner his knowledge and best of all he took a lot of my pain away. Chronic pain suffers know what its like to be denied a normal life style, Dr. Cooper understands that and he tries his best to get us back or as close as possible. The medication, the injections the atmosphere all lead to maybe a little better life. I can’t say enough good things about Dr. Cooper and staff, who work with you not against you. I do thank God for putting Dr. Cooper into my life. Don’t stay in pain! Princeton Spine and Joint Center can help you! Before finding the doctors at PS&J, I went to many other orthopedic specialists that could not do anything to relieve my pain. One doctor told me that my only hope was major surgery with rods and screws that would not even help me much. Another doctor told me “You have a bad back; I don’t know what to tell you. The Princeton Spine and Joint Center changed my life. Dr. Grant Cooper is amazing! Not only is he knowledgeable and skilled, but he is kind, caring, and funny. He was highly trained at top notch facilities in NYC as was the rest of his staff. He has many strategies and procedures for pain management that will help you avoid surgery. His colleague Dr. Zinovy Meyler is another amazing doctor in this practice who used a radiofrequency ablation procedure which gave me my life back. Now I’m back at the gym and enjoying activities I never thought I could. 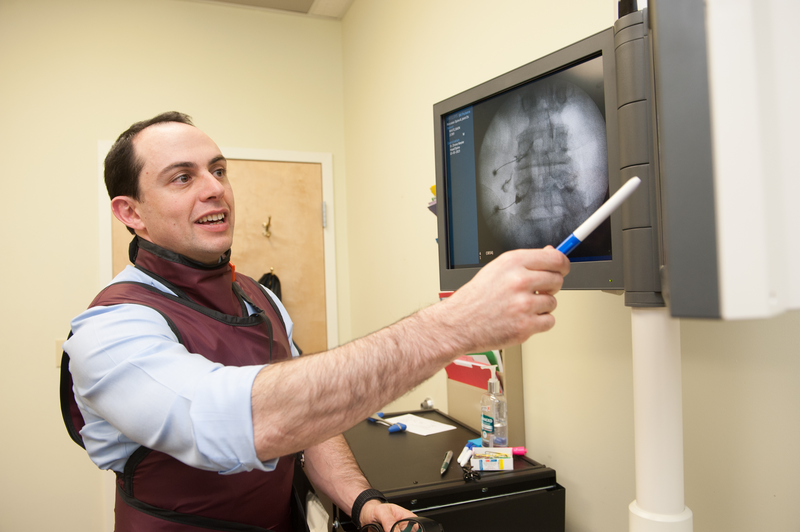 Visit the Princeton Spine and Joint Center. You won’t be sorry! Dr. Cooper is by far the absolute best physician we have ever met and been treated by. His is kind, courteous, has a terrific sense of humor, and is incredibly knowledgeable. We have received complete relief from pain every time he has treated us. His office runs efficiently and in a timely manner, and his staff is polite. We endorse and recommend Dr. Cooper in the strongest possible terms. He treated me immediately where other docs had me make several appointments. He’s personable, knowledgeable and funny! A pleasure to deal with! I thank God that my doctor sent me to Dr. Cooper. Since 1998, I couldn’t walk because of crippling pain in my back. Everyone told me it was just my age and arthritis in my spine. They told me to exercise and lose weight. I could hardly get down the stairs without help! Dr. Cooper diagnosed me right away and gave me two sets of injections. Now I am doing physical therapy and I can walk with only a very little pain! My family can’t believe it and neither can I. I have a new life. I thank God for bringing Dr. Cooper into my life. I developed neck pain several years ago and was told by two different orthopedists that since physical therapy didn’t help me I would just have to live with the pain. I was sent to Dr. Cooper by my primary care doctor who said Dr. Cooper could help. After two injections I am without any neck pain for the first time in years! He also found me a great physical therapist and I am doing my exercises with him. Dr. Cooper’s office staff is friendly and helpful. Overall a great experience! I had pain for. 6 yrs and tried physical therapy, massage, meds, everything and after seeing him a couple times I feel so much better. He is knowledgeable and kind and really cares about getting you well. I am so grateful for his excellent treatment. Dr. Cooper is the only physician I have ever needed for pain management. He is kind, courteous, knowledgeable and goes out of his way to be helpful. He follows up after a visit, his office staff is courteous and run the office efficiently. Dr. Cooper has helped me tremendously and made my daily life pain free. I endorse Dr. Cooper in the strongest terms. After seeing several other pain doctors, Dr. Cooper took away my pain without my having to take narcotics daily. He treated me immediately after examining me and speaking with me, instead of forcing me to ae another appointment. I recommend him highly. Compassionate and effective doctor. I had back pain for years and had been to two previous doctors who did not help me at all. My primary care doctor sent me to Dr. Cooper and I am so grateful that he did. Dr. Cooper took his time at each appointment with me and in just two appointments my pain is all gone. I almost can’t believe it. I am doing physical therapy now that Dr. Cooper ordered and it has been seven weeks since I have had any pain! I had forgotten how good it felt to NOT HAVE PAIN! I would highly recommend Dr. Cooper and his friendly staff to anyone in pain. I only wish I had met him years ago! Wonderful physician. Excellent credentials . Has authored books in his field. I have gotten great back and knee pain relief, when other qualified physicians have not been successful. He is always friendly, warm and welcoming and provides the highest quality of care possible at reasonable prices. I am always seen promptly, within 5 minutes, and treated with such respect. I am leaving on a long vacation to Europe, which would have been impossible a year ago. I have also resumed riding my bike and walking my dog which I have not been able to do in a long time. The office is very efficiently managed. Records are computerized and info can be retrieved immediately. Office staff are really so nice and helpful. I have found this practice and the care provided to be just about perfect. I am a retired director of nursing and have a masters degree in nursing and feel I am very well qualified to judge the quality of care provided. I am 48 years old and have had lots of sports injuries throughout my life. I can safely say that Dr Bracilovic is easily the kindest, most thoughtful, competent, and intelligent doctor I have ever been to. She took care of my neck pain and got it better very quickly where others had failed. I was so impressed that I brought in my parents and my daughter on separate occasions and each time Dr. Bracilovic took her time with us, explained the problem, ordered the appropriate tests, arrived at an accurate diagnosis and solved the problem! I cannot recommend Dr. Bracilovic and her friendly staff strongly enough. 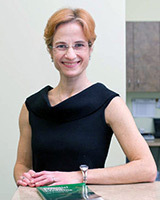 I am touched by Dr. Bracilovic’s graciousness, professionalism, her knowledge, patience, her acute sense of my needs as a patient, the time she commits to me during my consultations, how she takes my concerns seriously and the respect I receive from her at each visit as a person. Dr. Bracilovic takes the time to learn about my previous health problems and listens with care to every single concern I have relating to my injuries. Many times I leave her office crying because I cannot believe I was so… well treated and how blessed I am to have Dr. Bracilovic on my side as I struggle with injuries. My most recent visit was two days ago. I was a complete mess with pain upon her examination of me especially in my mid back. I will never forget what she said to me in such a compassionate way ” I do not want you to suffer, you have been through too much”. With that statement, Dr. Bracilovic carefully planned a pain relieving program for me taking into consideration my sensitivities with medications. I was relieved from severe pain that day with no side effects. In June of this year, a person’s head hit my right leg and his torso hit my ankle at my daughter’s college graduation. The head fibula on my right leg was fractured and my right ankle had a contusion and ligament tears. Just to name a few things that went wrong with my leg because of those impacts on it. The pain was breath taking with those injuries. And at the end of August, as I am picking up my pain prescription at the drive through at CVS, a car hit the back of my car throwing me forward because I had removed my seat belt to grab the clipboard from the CVS associate causing new injuries to my neck, back and shoulder-just imagine!. At Dr. Bracilovic’s office, they are very aware that they are dealing with pain patients, the wait is very short. The staff is always courteous, accommodating and patient in person and on the phone. I am very confident that I will heal from these painful injuries with the pain controlled and the right combination of therapy for I am in good hands. Excellent doctor! I had three Princeton area orthopedic surgeons look at my painful tailbone to no avail, although one gave me three wonderful cortisone injections. Lived with aching hip pain for about twelve years and excruciating tailbone pain for six months or more. These doctors have new high-tech solutions for your spine and joint problems! They gave me injections that gave instant relief to the hip and tailbone. Race to this beautiful office and these nice, very well-educated specialists. Hoping not to need tailbone surgery anymore. Smiled happily when I left the office. She listened to my concerns and promptly described potential diagnosis. I made some tests and was she was correct in her diagnosis. I got a call the same day I went for my tests and was received in her office again right away. She called me a week later to find out if I was feeling better! !It was a GREAT experience. Dr. Meyler is by far the best in his field. After visiting several specialists regarding pain and lost functionality in my neck, hand and arm he was the only person who was able to construct a plan, explain it and execute upon it. He always has time to go over results and the procedure no matter how busy he is. His office and staff are great which is a plus as well. Dr. Meyler takes his time talking to you. That’s impressive. He also digs deep by asking you a lot of questions, to get to the bottom of the problem. He is very compassionate. I am so happy I found Dr. Meyler. I saw Dr. Meyler initially when he was covering for Dr. Cooper and I was very happy with his compassion and thoroughness. He took on my concerns and questions as if he was treating me the whole time and provided me with an explanation, guided me through a rough patch and gave me pain relief when I desperately needed it. He also gave me hope. I now see both, Dr. Meyler and Dr. Cooper. I have in one way or another interacted with all of the Physicians at the practice including Dr. Bracilovic and Dr. Funiciello and I was very impressed and satisfied with all of their care. I wholeheartedly recommend this practice as a whole. Dr Meyler is the best Physician I have ever had, independent of the discipline. He is very thorough, explains issues, and is empathetic. The patient-oriented attitude is shared throughout the practice. His diagnoses have been spot-on and he follow-up is great. I have never been to a practice where the doctors provide you with their email addresses; he responds quickly and shows genuine concern for his patients. My wife sees Dr. cooper at the same practice and her experience has been the same. GREAT Doctors! I never waited more than 5 minutes for any of my appointments. Dr Meyler was very kind and patient while explaining everything I asked in detail. I had a reaction to the steroid shots on a Saturday morning and the office called me back very quickly and reassured me that the redness would pass in a day or two, which caused me NOT to panic. My neck is doing well and I can now play with my grandchildren as I did before. I HIGHLY recommend Dr. Meyler. Spent time with me explaining everything from A to Z. Made me feel comfortable with course of treatment. I felt like he really cared about my well being. Great staff to complement his care. Thank you. I have a lower back problem and went to an Orthopedist who after a short conversation sent me for MRI. At the next meeting he told me he could do an operation than probably could help but maybe not. I wanted another opinion and through some research decided to try Princeton Spine and Joint Center. I met with Dr. Zinovy Meyler who spent more time with me during that meeting than the other two I had spent with the Orthopedist combined. He took ample time to explain what to expect going forward. He offered therapies I could do before a back operation, perhaps making it unnecessary. As exciting as that is, it is really his empathy that I appreciate. I never felt like I was only a money maker to him but that he had a genuine interest in my health. I have been following his recommendations and my lower back pain has been significantly reduced. I whole heartedly recommend him. Dr. Meyler aka “Dr. Z” is one of almost a dozen specialists who comprise my healthcare team, and he is easily my favorite. His knowledge and personal care for each patient is beyond reproach, making you feel more like part of the family instead of just another patient. Encouraging email updates, and an amazingly swift response time make each visit no matter how much pain I was in when I got there; a pleasant experience. The successful treatments given, and the consistent updating of your individual plan of care make Dr. Meyler and PSJC head and shoulders above their peers. He really is a great doctor to start with and a real nice guy.. He takes the time to devise a plan with options and go over it, execute and follow up. No matter how busy he is he always makes time to go over the course of action with you and get you in which is a huge plus when your pain causes you to miss work or keeps you from enjoying life. Great staff as well. Dr Meyler is professional, courteous, listens to what you say and explains carefully what needs to be done and what options ar available. I would recommend him to anyone dealing with pain! Dr. Meyler and the entire practice is excpetional. I have seen many physicians over several decades and he is the best doctor I have met. Thorough, explains things well, takes as much time as needed…..he even saw me when his office was closed due to a snow storm – he made it in and saw me without any support staff. The office is well managed and the other doctors share Dr. Meyler’s wonderful attributes. They set their practice up to be patient focused!!! Dr. Meyler is an amazing physician. He fixed a back problem that I have had for years and that no other doctor seemed to be able to help me with. Thank you, Dr. Meyler! I have had several visits with Dr. Meyler, and he also gave an injection to my hip. A couple of years ago, my daughter also had an injection by Dr. Meyler which was extremely helpful for her back pain. Dr. Meyler is outstanding. Always spends much time patiently listening, explaining the symptoms, and discussing possible actions. You never feel rushed during the office visit or otherwise. He is also great in following up and answering questions before and after visits. It has been a great experience having him as our doctor. He listened and came up with a plan of treatment that covered all of my concerns. I am now nearly pain free and doing more of the things I enjoy! I saw Dr. Meyler after running out of conservative options at my local hospital. Somehow I came across Princeton Spine and Joint Center, we traveled an hour and a half to see him. Dr. Meyler spent a long time talking and examining me to discover that my previous hospital had misdiagnosed me. That same day I started a treatment that gave me my life back! I am now medication free and so thankful for Dr. Meyler and his knowledge. 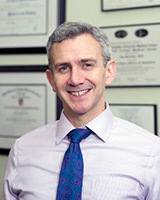 I saw Dr. Zinovy Meyler at Princeton Spine and Joint Center in connection with foot pain and difficulty walking. An appointment was made on short notice because I had an upcoming vacation that would involve lots of walking. Dr. Meyler’s examination was meticulous and thorough. He pinpointed the location causing the problem as the talocalcaneal joint. X-rays were taken the same day and he promptly treated the area. I am grateful to Dr. Meyler for his responsiveness and availability for follow-up by phone. He demonstrated a genuine commitment to my problem and its improvement. diagnosed my lower back and leg pain on first visit sent me to therapy in a month my back and leg pain are completely gone . I would recommend Dr Meyler to all my friends. My cousin has been suffering from a back pain recently and asked me for a doctor recommendation knowing that I had a similar issue some time ago. As I was giving her the information for Dr. Meyler I thought I should post a review realizing how important these reviews are when searching for the right doctor… Dr. Meyler is one of the rare doctors who will spend time looking for the cause of your pain rather than just treat the symptoms. I’ve been suffering from horrific lower back spasms that would happen without warning and the pain was so severe I could barely take a breath. Dr. Meyler gave me an injection (explaining what and why he was doing as he went along, putting me completely at ease.) Once I felt better he spent time talking to me learning about my day to day activities trying to figure out what may have caused these spasms. He gave me a series of stretches to do and followed up to see how I was doing. It’s been over two years now and I have not had any re-occurrence of the pain. Dr. Meyler is a true doctor in every sense of the word. 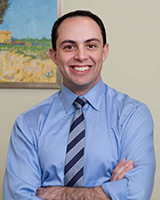 If you want a pain-free life Dr. Meyler is your guy! I just had my second injection from Dr. Meyler, a year after the first for lower back pain and numbness in the leg. The first shot lasted a full year, with complete relief. Dr. Meyler took the time to explain everything to me and gave me the confidence that I am doing the right thing. I am TOTALLY satisfied with my decision to go to him. Not to mention, on time appointments! Unfortunately, I have spent too much time in the waiting rooms of cardiologists, oncologists, neurologists etc. during the past 15 years. 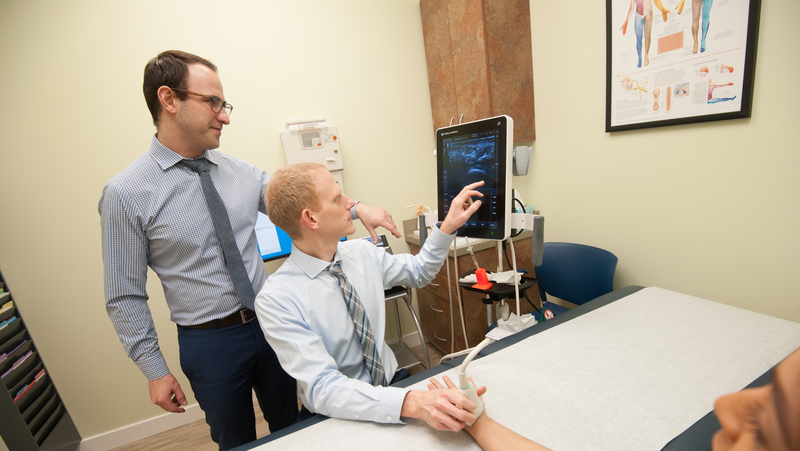 My recent experience with Dr. Zinovy Meyler and his associates at Princeton Spine and Joint Center was fantastic …extremely pleasant, educational (in terms of his diagnosis and explanation about proposed treatment and referrals) and his empathy. I would be happy to share my feelings with others who are seeking an opinion (and/or a recommendation) about Dr. Meyler and his attitude about patient relationships. Great Doctor…..took care of my problem. He took the time to explain everything to me and answered all my questions and concerns. I have used Dr. Meyler for the past 2 years. He always been able to diagnose the problem and treat it. He has followed up with me by e mail and I have always been able to follow up with him by e mail and he has followed up with me promptly. I have had no hesitancy in recommending him to friends and they have been very satisfied with him. This is the most pleasant trip to the doctor I have EVER had. The staff was nice from the beginning and it only got better from there. I’ve had chronic neck pain for years and thought surgery was the only option-until my neighbor made me promise I would see Dr. Meyler before surgery. I am so glad I did! Dr. Meyler is caring, thoughtful, and always an email away. After 2 injections I finally have 90% pain relief! I’ve had chronic pain for several months now in my lower back and after a series of doctors Dr. Zinovy Meyler was recommended to me. I’ve seen him a handful of times but he is literally the best doctor I have ever had. Not only is Dr. Meyler very intelligent he is also very caring and understanding and he set me on the road to recovery. Don’t hesitate to see this doctor, even if he isn’t the right doctor for your problem he will still give you every suggestion/option he can and he will definitely help get you to the right doctor. Dr Funicello is as kind as he is competent. A very fine doctor. Dr. Funiciello successfully cured my chronic (over 25 years) neck pain. He helped me when all other options had failed (orthopedic, physical therapy, chiropractic, etc.). He is knowledgeable, kind, and skilled. Relief from this pain changed my life. I am forever grateful for his persistent and patient care. I was in pain for over two years and saw about 5 drs, no one could help me until I visit Dr Funiciello and was like a miracle, He is very knowledgeable. He is outstanding. My wife and I both have chronic spine conditions and went to him as an alternative to surgical interventions. My wife specifically has very complex medical issues and requires research in to any meds she takes, and is breast feeding. He did his job above and beyond and we both have him to thank. All around good doctor. I was very pleased ,I did not feel rushed, my outcome was good and he has integrity. Good first time experience with Dr. Funiciello. Gave me good options for my lower back pain- I will definitely be going back to see him. Very helpful and caring. Eager to help me feel better. Great staff, Knowledgeable Dr. Knows my medical condition and solved my problem without surgery. In my 35 years working in healthcare, I have learned how to evaluate doctors. Dr. Funicello belongs in the top tier, in my experience. I presented with a complex, ambiguous condition (couldn’t walk 200 yards without intense hip pain but could play hours of tennis with no problem). He laid out all the possible factors and causes and then proceeded to work his way through each of them, to rule out those not causative and get to the one(s) creating the condition. After running down two blind alleys, we got to the perpetrator who was vanquished. Now am 95% healed with 100% well in view. Dr. Funiciello is honestly a magician. He fixed a really bad back pain and sciatica problem that I had suffered with for over six years. Two spine surgeons and one other pain doctor had told me I would “just have to live with it.” Dr. Funiciello told me he could help and he did just that. Thank goodness I found him because he changed my life. Dr. Funiciello is a true professional and I am forever in his debt. Very pleased with all my visits to this doctor. He is very thorough and efficient. The entire experience was excellent. He took time to listen to me and improved my symptoms considerably. A pleasant, professional & understanding man who listened and knew exactly what to do to relieve my pain…He was thorough and did not push for unnecessary tests….I highly recommend him & thank my internist for referring him to me…. He knows what he talking about and makes you feel good that he will help you. I would recommend Dr Funiciello to anyone who needs help with various. Health issues. I had hurt my back and was down for 5 days – couldn’t move at all. When I went to Dr. Funiciello, at first I have to admit I was a little uncertain. I had thought at first that he wasn’t sharing enough information with me. On the second and third visits, though, I discovered that he was only giving me information he knew for sure. There was still an additional test he wanted to run before providing a formal diagnosis and prognosis. From that point on I had no doubts, and was extremely pleased with the results of his treatment as well as the physical therapist their office recommended. A couple of other important points: trust him when he says not to Google anything on your problem. I didn’t, but my wife did. The internet is full of worst-case scenarios and mis-information. I was glad to heed his advice. Second, although there can be a bit of a wait time, their waiting room has these awesome TVs that show loop a National Geographic special. It may sound kind of corny to write that up in the review, but once you see it, you’ll know why I wrote it up! I highly recommend Dr. Funiciello. I have worked in healthcare as an executive and consultant to top-flight outfits (e.g., Mayo Clinic, Johnson & Johnson, etc.) for 35 years. I know a trustworthy pro when I see one. Dr. Funiciello is one. I presented with a very complex and confusing set of symptoms (couldn’t walk 200 yards without extreme hip-area pain, but could play vigorous tennis for two hours with no problem). I was particularly impressed with Dr. Funiciello’s very methodical assessment of all the possible causes/factors involved and his step-by-step program for testing and affirming or dismissing each one as an element to address/cure/fix. After testing and ruling out (by failed interventions) two of the possible factors, we hit pay dirt on the third. I am now 95% mended and the end is clearly in sight. Because of my extensive knowledge of the field and my extensive experience working with doctors, many of my friends and my family turn to me for advice in seeking physicians and other providers. I would put Dr. Funiciello at the top of the list for anyone seeking a physiatrist. Because I had no knowledge of the medical specialty called “physiatrist,” and no idea of the ways in which my pain could or would be treated, I felt great apprehension before my first visit to the Princeton Spine and Joint Center. Very soon after I met my “physiatrist,” Dr. Marco Funiciello, my confidence grew because of his obviously strong knowledge and expertise; quick, accurate diagnosis; and caring manner. Amazingly, when he performed a third facet joint injection, he successfully hit the mark and ruptured the synovial cyst that was compressing some nerve roots that was causing me considerable pain. Not only did he succeed in eliminating my pain, he thereby eliminated the need for me to undergo spinal surgery. Needless to say, I am deeply grateful, and without reservation, recommend Dr. Funiciello highly. I brought my mother to see Dr Funiciello several months ago. She is living in a retirement community and had recently stopped walking due to pain in her back, knees and hips. Dr Funiciello recommended against her getting a scooter and over the course of a few months got my mother out of a wheelchair through injections in her back, knees and legs. He sent her for therapy and she got stronger and is now with only occasional pain and walks with a cane. She was just miserable before we met him and I can’t thank him enough! Dr. Funiciello was very easy to talk to, had a lot of knowledge about the condition and related pain and listened well to my description of symptoms and treatments tried. Being new to the area, I feel quite lucky to have found such a good doctor that I trust with my treatment. Testimonials on this site reflect the real life experience of the individual giving the testimonial. The testimonials on this site are not necessarily reflective of all those who attend Princeton Spine & Joint Center as patients. Patients should always discuss all the pros and cons of various treatment approaches with their doctor. Specializing in the non-operative care of spine, joint, muscle, and nerve pain.